The Windows Phone Mango update has finally landed, and it is time for us to go over some of the new goodies that Microsoft has thrown in the set. Why not all of them? Well, Microsoft went above and beyond with this one and added 500 or so tweaks and improvements to the platform. 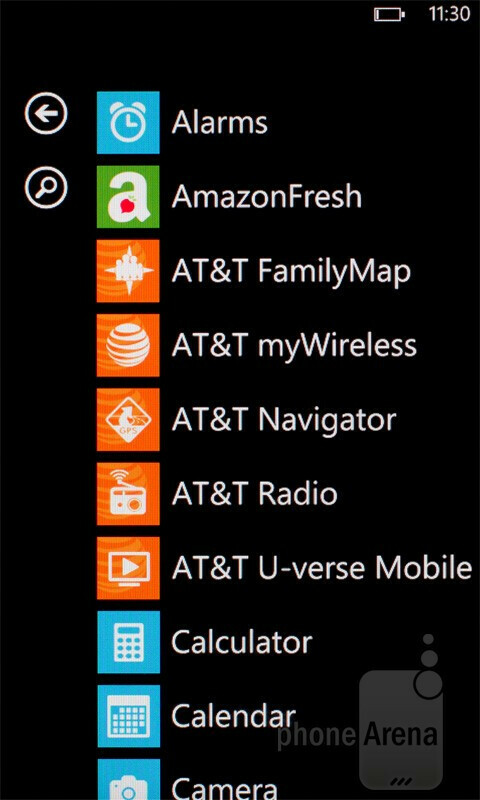 However, most of them are minor and are not really of interest for the majority of you, so instead of boring you to sleep with technical mumbo jumbo, let us just check out the most significant newly-added features in Windows Phone Mango. So, we fire up our trusty LG Quantum updated to Windows Phone Mango, fresh and ripe. 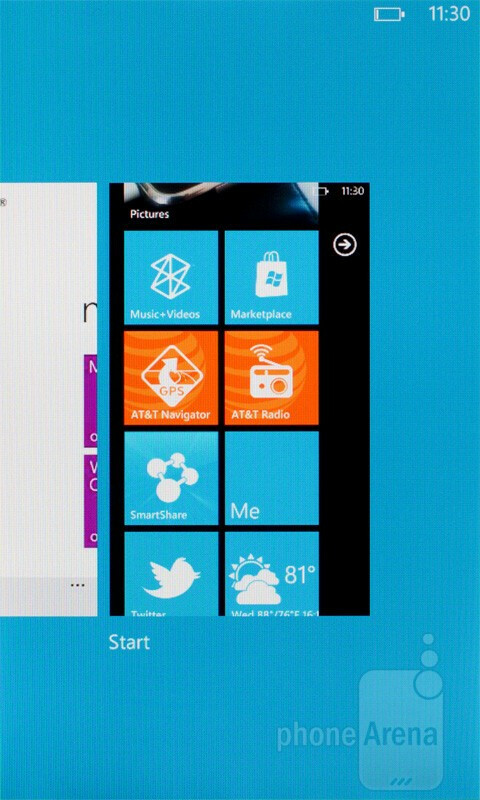 We are greeted by the all-familiar home screen populated by a set of live tiles, and the list of applications is only at a swipe's distance. At a glance, there doesn't seem to be anything new here in terms of visuals, and navigating about feels just as it did before – fluid and responsive. Of course, there is nothing wrong with that as we have always been fond of the Metro UI and its elegant, sophisticated looks. 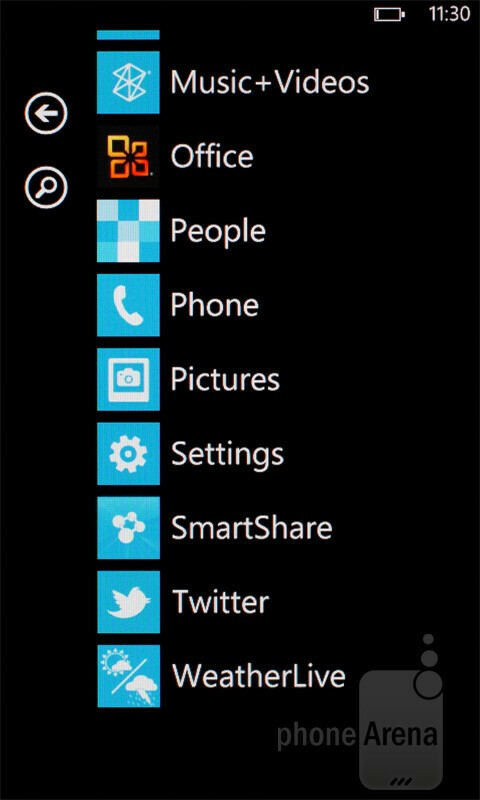 Upon holding down the back button, however, we enter multitasking territory – a feature that Windows Phone sorely needed. The task switcher pops-up and gives a side-by-side view of all running applications, so jumping back and forth between apps is as easy as pie. Every opened web browser tab gets its own preview window as well, which is pretty neat in our opinion. Unfortuantely, only up to six tasks can run simultaneously, so the feature turns out to be not quite as potent as one would expect. Besides, only native applications seem to spring back into action without a hitch while third party apps experience a slight delay before resuming. We were also disappointed that a way to close down a a running application from the task switcher is missing. Nevertheless, having some sort of multitasking is much better than having no multitasking at all, right? A quick look at the built-in email client shows some significant improvements as well. For starters, email conversations are threaded now, meaning that your conversations get grouped together instead of being treated like individual emails like it was in earlier versions of Windows Phone. Something that we also like is that you can set up multiple email accounts and have some or all of them linked together in a unified inbox. Twitter integration is another perk that Windows Phone Mango brags with, which is why you now get tweets from your buddies delivered straight to your People hub. Some other cool things that can be done now is sharing a photo via Twitter without leaving the gallery and tweeting a web link straight from Internet Explorer. However, it feels kind of weird that the dedicated Twitter app does not come pre-installed, and once we grabbed it from the Marketplace it would not let us log in, probably because it has not been updated for Mango yet. Sure, one would presume that it may not be needed since the social network is now tightly woven into the Windows Phone platform, but we still find it neat using a dedicated client every once in a while to check what the latest online trends are and what strangers around us are tweeting about. Another major feature that has been integrated deeper than before is SkyDrive, which is Microsoft's cloud-based service for storing files and media. Documents, photos, and videos can be easily uploaded to the cloud straight from the device. 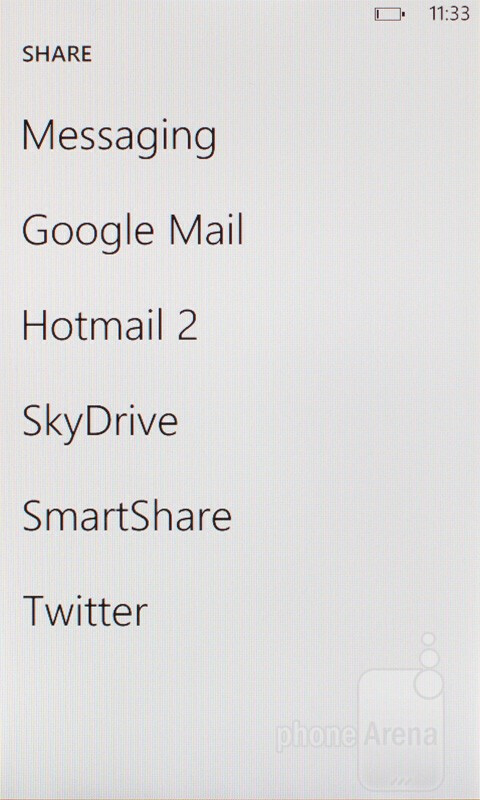 In addition, all the stuff you have on your SkyDrive can be quickly attached to an email that you are composing on your smartphone. However, we find it kind of strange that if you need to do anything more “advanced” like deleting a file from the cloud or moving it someplace else, you are pretty much out of luck. Managing the content on your SkyDrive requires you to fire up the phone's internet browser and use the web interface of the service. At least, the SkyDrive web site is now powered by HTML5, and Internet Explorer 9, which Mango comes equipped with, has no troubles running it. 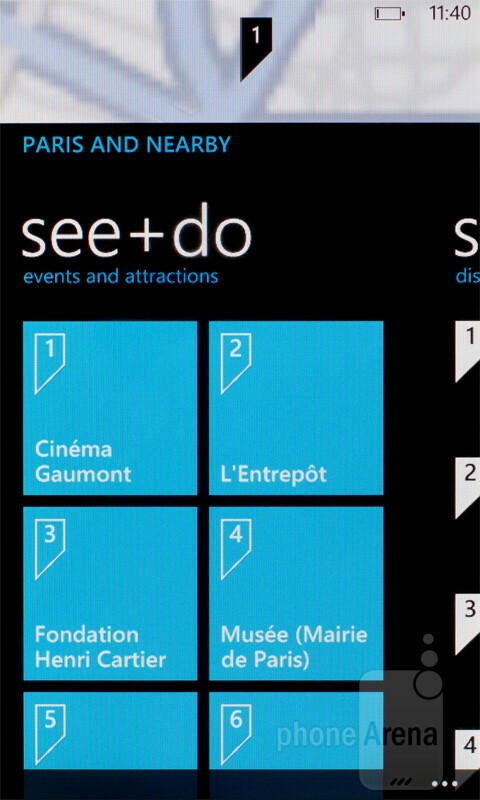 We also noticed that a few cool changes have been made to how Windows Phone Mango searches the internet using Bing. Besides doing a regular web search, you can now look for nearby venues, restaurants, or outlets thanks to a feature called Local Scout. On top of that, Bing now has the ability to scan barcodes and to identify songs in a true SoundHound fashion, which spares the need to get dedicated apps for that functionality. Microsoft has also enabled Bing to scan text with the phone's camera and translate it into another language, but the feature was usable only when enough light was illuminating whatever we were trying to scan. Some minor tweaks that we find interesting include the ability to add custom ringtones as opposed to being stuck with the boring stock ones, and to take photos by tapping on the smartphone's display instead of using the dedicated shutter key. The addition of video chat support and the Wi-Fi hotspot functionality should also be mentioned, but sadly, both of these features will be present only on the latest Mango devices. And that pretty much sums up our first experience with Windows Phone Mango. The new version of the platform sure seems like a step in the right direction for Microsoft and will likely help the company in its efforts to catch up with the big boys on the smartphone market, at least to some extent. All the new features breathe some new life into the platform and make it seem more potent, more elegant, more capable of getting stuff done than it was before. At the same time, those who have been loyal to the platform for so long will have far less reasons to switch teams now that Mango has been pushed out. On the other hand, it worries us that a great fraction of what Mango brings to Windows Phone is functionality that the competition has already had for a while. The platform sure isn't anything groundbreaking; it is more like an upgrade that adds features Windows Phone should have already had in order to gain enough momentum. Android and iOS are still the indisputable leaders on the smartphone field, and it is going to take something more if Microsoft is to reach their enviable market share figures. Some real high-end devices, perhaps? The ones that captivate smartphone aficionados and show off the full potential of the platform they run. For example, dual-core processors or LTE connectivity are features that are yet to be seen on a Windows Phone device. And let us not forget the significance of software availability. With 25,000 applications in its catalog, the Windows Marketplace is way behind the App Store and the Andorid Market, both of which offer hundreds of thousands of apps. All in all, with Mango, Windows Phone has gotten closer to the big boys than it has ever been, but that is just one part of the equation. The hardware that it runs on and the amount and quality of software that it offers will also need to be pushed to the next level before Windows Phone can become a real alternative to Android and iOS. PhoneArena Staff: Flash is not missing - it will never be included with this platform. Thus, it is recommended that you do not state that it is missing as that can connote that Flash 'will be coming' at some point. Mango has been out, officially, for a month, and this is all that PhoneArena could do in terms of a review? Also, this platform has over 30,000 apps in the Marketplace in just under a year of being on the market. 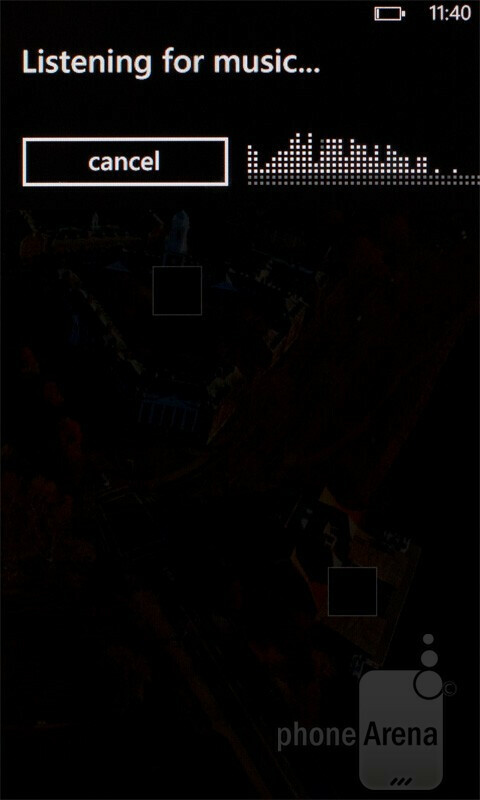 PhoneArena, silly you. 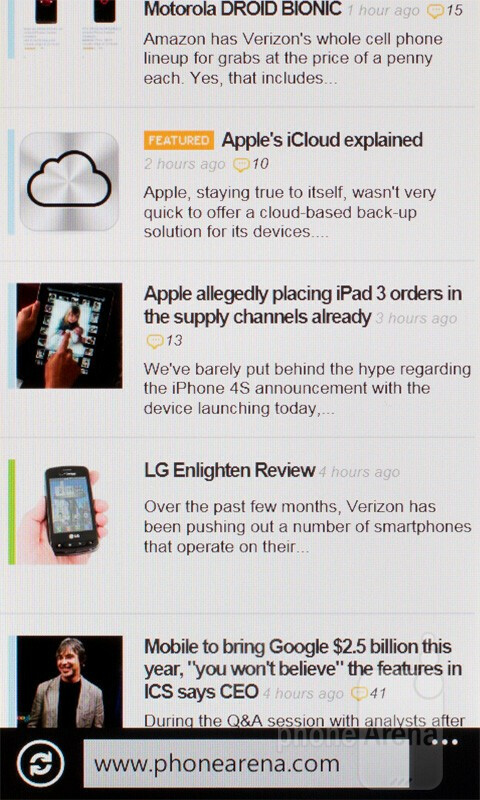 PA readers: For the actual review of Mango, please visit TIMN, Engadget, ArsTechnica, Gizmodo, ZDNet, PCWorld. @remixa...The ability to make and receive a call is standard and required; Flash is not. A phone does not NEED to have Flash functionality, otherwise ALL mobile operating systems and websites would utilize it as the defacto. Flash is not missing from Windows Phone - It is not needed nor does Microsoft want it. I am not a WP7 user, but I agree with those on here defending WP7. 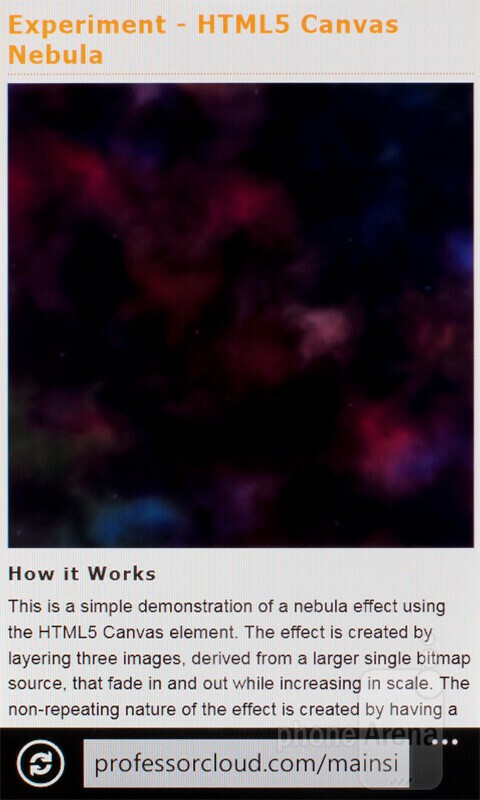 The reason it doesn't have flash is because it has support for HTML5. Which if you look up any PC article or any web browsing article, it is what the internet is moving towards There will always be a need for Flash for complex graphics, but in this case I think Microsoft decided people on their mobile phones didn't need to see those complex graphics. What I mean by complex graphics are those sites that have that slideshow pop up and you have to click skip to get to the actual site or if the site has a heavy interface with graphics. 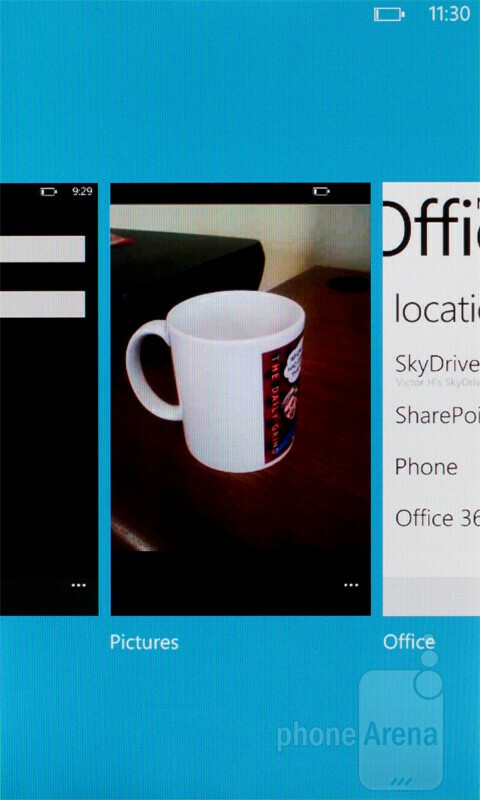 Now, WP7 also has support for Microsoft Silverlight which allows it to view some websites that use that as well. The point I am trying to make here is: if you like flash, great. But, is flash necessary when it comes to a phone? No. I'm with ReturningToNokia on this one, PhoneArena. In many parts of the review, it seemed as if the features were being very superficially described and/or downplayed. There was a more in-depth explanation of why you feel WP7 isn't comparable to Android or iOS than there was on any feature of Mango. 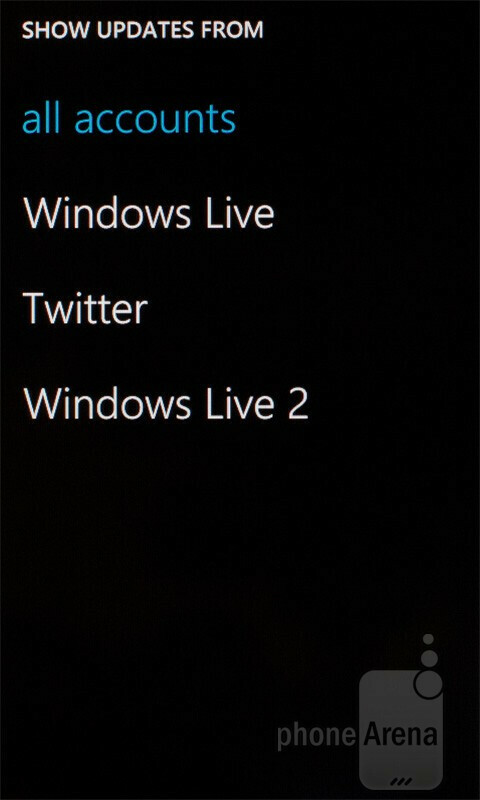 To name a few things: - No mention of Live Tiles? - You can easily get a dedicated Twitter App, if of course you just want to waste more time opening a single-function application. - Facebook and LinkedIn are integrated as well as Twitter. Don't forget about those. - No mention about the standard Messenger at all? The one-stop place through which you can chat with your friends via Text SMS, FaceBook, Live Messenger, and LinkedIn? - Bing features - the point isn't simply that you can do these different types of searches, but that they are integrated into the OS and you can do each at the touch of a button. 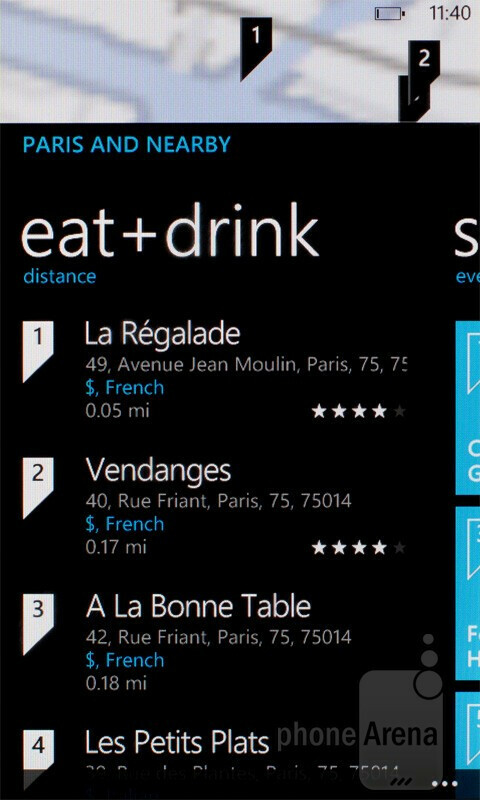 Simply press Local Scout to find places to eat, places to shop, and things to see near your location. Click visual search to scan a variety of media in real-time, from QR Codes to book and album covers, to text that you can then translate or simply copy to paste later. Not to mention reviews, prices, and retailers are then provided once you scan something. Music Search - basically a built in Shazam. Overall, sorry to say PA, but you guys really dropped the ball on this one. 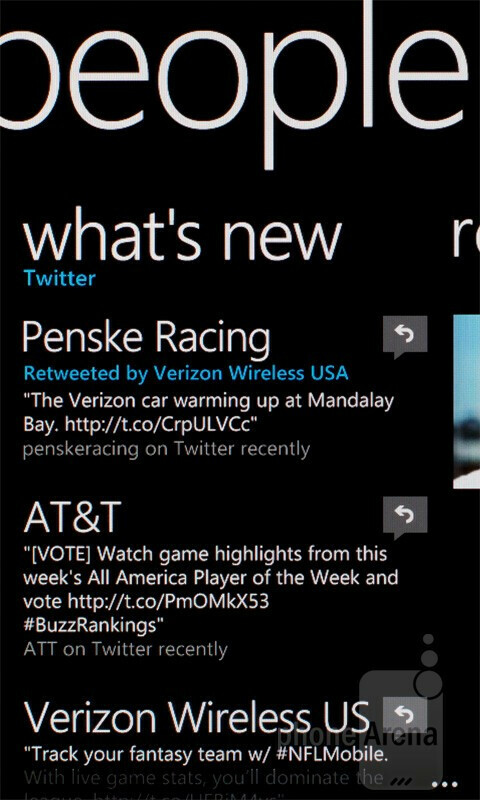 I'm a fan of WP7, but objective enough to stick to the facts. 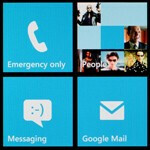 is there like a Root or Jailbreak for WP7 phones? well ChevronWP7 was there at the time when the OS came out, but now they're supporting the real WP7 team, so i'm not sure about the JB thing. but the guys at XDA-Dev are always up to something, maybe you should look around there. I agree. Depending on what ICS brings, I'll be switching as more become available. These phones are a great alternative to IOS and Android. They seem to have more catching up to do than most, but when they get there they will be huge. Well they just added more support for live tiles. That is always more appealing than just having icons on your homescreen? Sure, it isn't live wallpapers, but it is pretty damn close. Pretty soon developers will be making "toggles" on the tiles, for switching WiFi, GPS, Data, etc. That would be something cool to see. I don't think it is boring at all, but if you want customization, get an Android. You are entitled to have your own opinion, but I must disagree on this one. 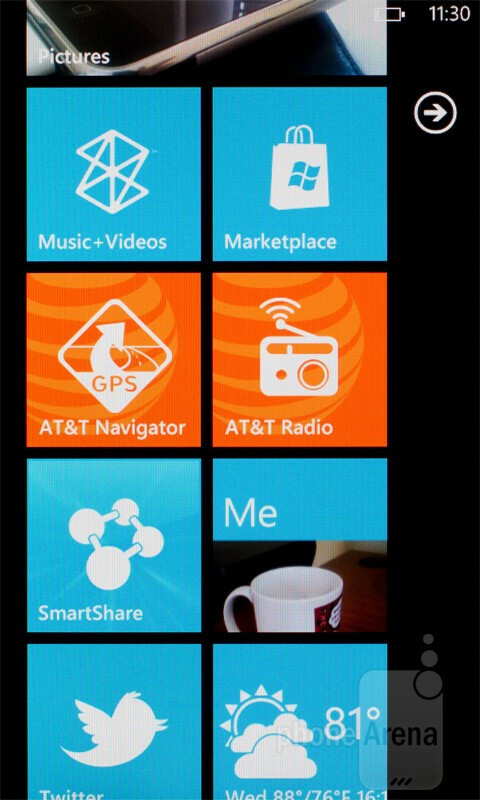 Neither Android nor Symbian are as you put it " WWWAYYYYY better than this WP7." They are different OSs for different customers. Each has its ups and shortcomings. That is the beauty of the Market nowadays. We have choice! I agree, there is a vast majority of choice in what OS to go with nowadays. 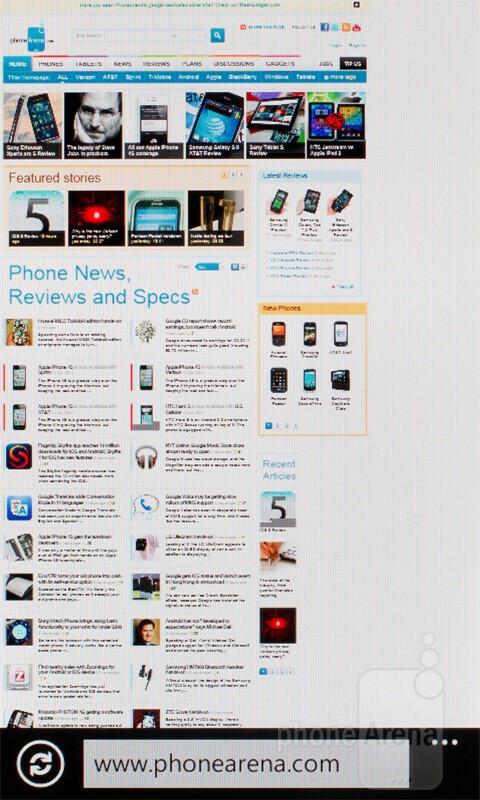 iOS-Standard, Android-Customization, WP7-Fluidity and fast responsiveness. is there a reason behind your statement? or it's just as vague as you are? Why? 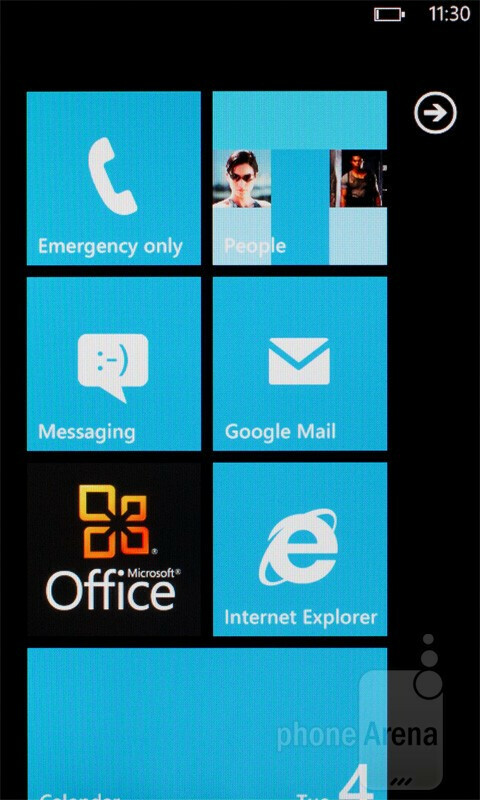 It's my right to say I prefer WP7 over Android. I'm not taking that away from you miz, I'm just asking why is it so. You always bash or underrate android with no reason. I think you should tell us why. I'll probably sell my EpicTouch when a good Mango phone comes out. Simple is nice. Hope Sprint even supports it. As they push the iPhone, they used a picture of the Arrive to promote the buy back program that they are using to get more iPhones sold. 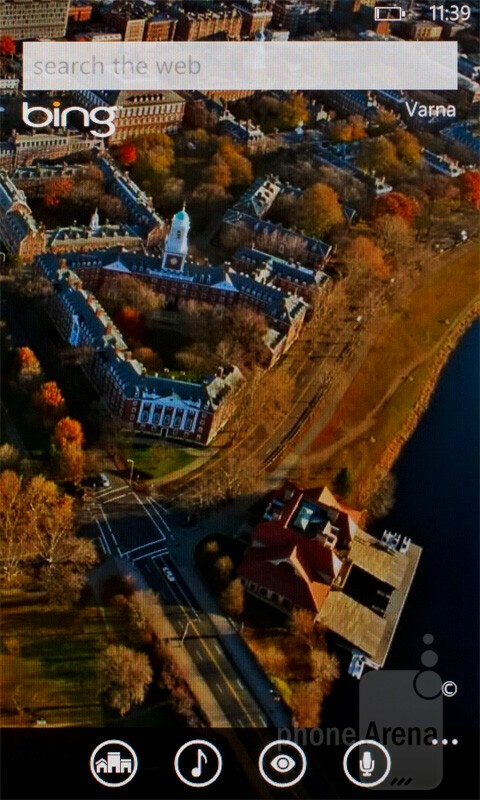 It is covered in ivy in the picture as if it is a three year old device that is outdated instead of a half year old device that has just been updated to the latest software. Doesn't bode well for Sprints outlook of WP in the immediate future. Yeah, that is a crappy commercial anyways lol. I just looked on EBay, and the phone is selling for around 200. In store is 450. They are getting outdated really quick. I hope I made the right move by getting the EpicTouch now, and then selling it, rather than waiting, because it could be months, if not years, until they get a decent one. 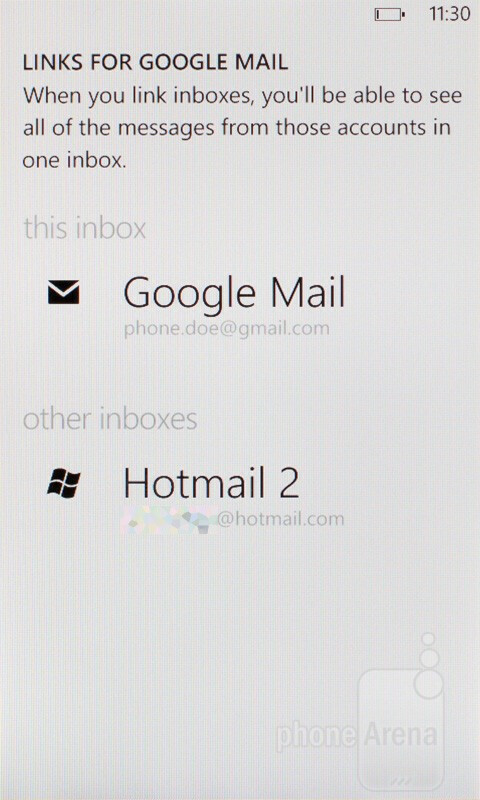 I don't really understand with the iPhone, the WP7 UI is gorgeous, if you don't like Android or iOS. The icon/grid thing is been there done that, to the point where they are copying off of eachother. I guess a Microsoft rep came into sprint, and has said that a decent WP7 should be in around November. He trained everyone on Mango and from what I heard, it was a good experience. THAT is good to hear. I wonder if that LG Fantasy is headed there. I was actually hoping it ends up on Verizon. That would be my loss and Sprints gain. 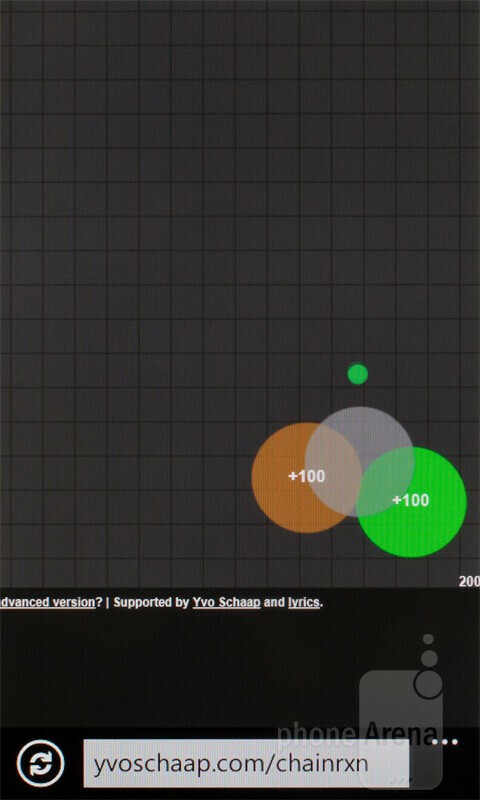 Same application switching exists with Android as well. Only switching from 1 to another app the Android loads it from starting. Thank god atleast Windows Mango can hold upto 6 app. Not going to pretend it is a deeply integrated, mature OS just yet. But the experience is near flawless, the Mango updates to all devices shows Microsofts dedication to it's users, and we all know where Windows Phones is headed with WP8 on the horizon. You can purchase a second generation WP and know it will be supported. The lack of expandable memory is mystifying to me, but most other missing features can be forgiven. I would rather it do everything it is designed to do well while it builds into a better OS than it try to do everything all at once and it be a crappy experience. I do kinda agree with Returningto Nokia though- Phone Arena this is a very unimpressive write up for a Feature on Mango. I would like to add WP Central and WM Power User as a great sites to visit for a good write up on the features and abilities of Mango if you are interested in a full run down on what it does as well as what is still doesn't do. It isn't for everyone, but it is a great, smooth operating experience for those that like it. I've mentioned it before but I'm not sure if I've done so on this site. The supposed lack of features isn't the real problem, and here's why. 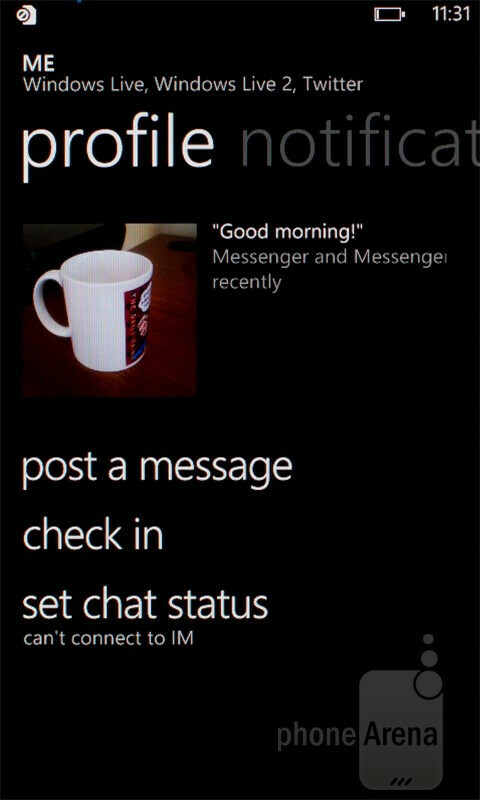 Most of these features that WP7 is thought to be missing are present in Windows Mobile 6.5 and below. 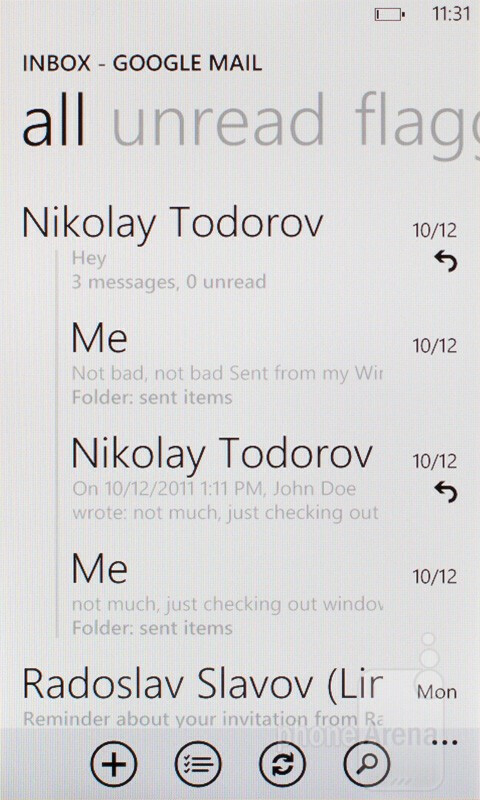 Multitasking as well as Copy and Paste were present in Windows Mobile amongst its vast array of features. Windows Mobile had more features than iPhone, so how did it fall behind? One of the primary means was by marketing. The marketing for iPhone (and other Apple products) was more like a branding of a generation while the marketing for Windows Mobile devices (and now WP7) are rare and far in between. Microsoft can run the features race all they want, but that isn't what will necessarily help them gain traction. A successful marketing campaign is needed. If they have that, they can lack features all they want, people will still buy their devices. Alright, I'm coming out of the closet on this one... I'm thinking I may switch to windows from android. I have messed around with all the high end windows phone and in summary... Mango just makes sense... its very simple and smooth. Agreed. Android has amazing customizing capabilities but along with that is a more choppy looking interface. Not saying its necessarily laggy, but it just doesn't flow and look elegant.